Will Celtic Manor, Wales, be voted the UK's best hotel for conferences in this year's C&IT Hot List? The luxury hotel topped the category in the Hot List 2011, voted for by C&IT readers, and has since invested £500,000 in its team building and leisure offer. But will it secure gold again in 2012? 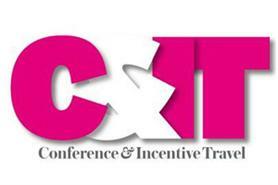 Categories in The Hot List include Top Incentive Destination, Best Unusual Venue and Best Sustainable Venue.